I was having a conversation with a good friend the other day. A quite important conversation, actually. A conversation about ice cream. 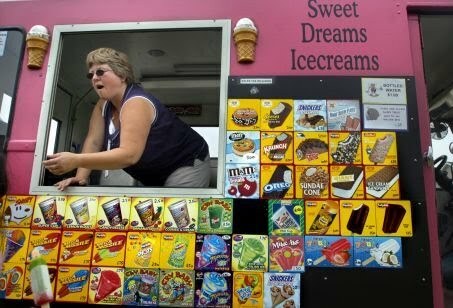 Do you guys remember when ice cream trucks came around regularly to neighborhoods? When kids actually played outside, so it was profitable to have an ice cream truck? When you would get all giddy and excited when you heard the music, would run inside the house and beeeeeeeeeeg your mom for a couple bucks (price depends on how old you are…) for an ice cream? And then…the choices, the decision you had to make was monumental! I wasn’t often able to buy ice cream, so when I did, I had to make sure I picked the right one. You could stand in front of that ice cream truck for hours, if you didn’t feel that he would drive away in two seconds if you didn’t make up your mind. Ninja turtles, red, white and bluc space shuttles, Flintstone pops, big pops, chocolate covered vanilla ice cream cones. These were the decisions that mattered in life. Personally, I knew I could always count on Mr. 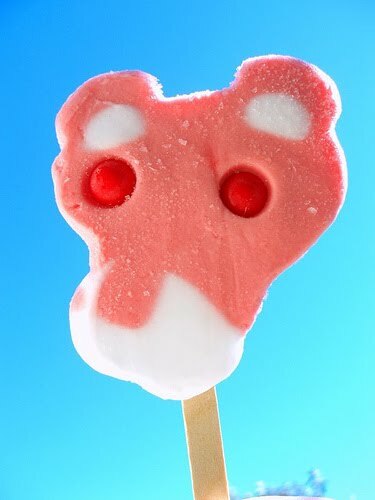 Pink Panther and his gum ball eyes. It’s funny that back then, those decisions seemed as monumental to us as our critical decisions now, at least in the eyes of a seven year old. I just wish all my choices were laid out before me, and all I have to do is point and pick! We always lived so far out in the boonies there were no ice cream trucks. BUT, sometimes, when we visited friends, one would roll by and the joy of picking . . . you're right, it was hard. I usually went for a fudgecicle, but sometimes those rockets just called out. And, no matter WHAT I picked, I always wanted what my sisters had afterwards, so we often ended up switching.